The Earth. One slice at a time. While the south Welsh were busy mining for iron and coal, and quarrying for limestone, the north Welsh were mining for rock. 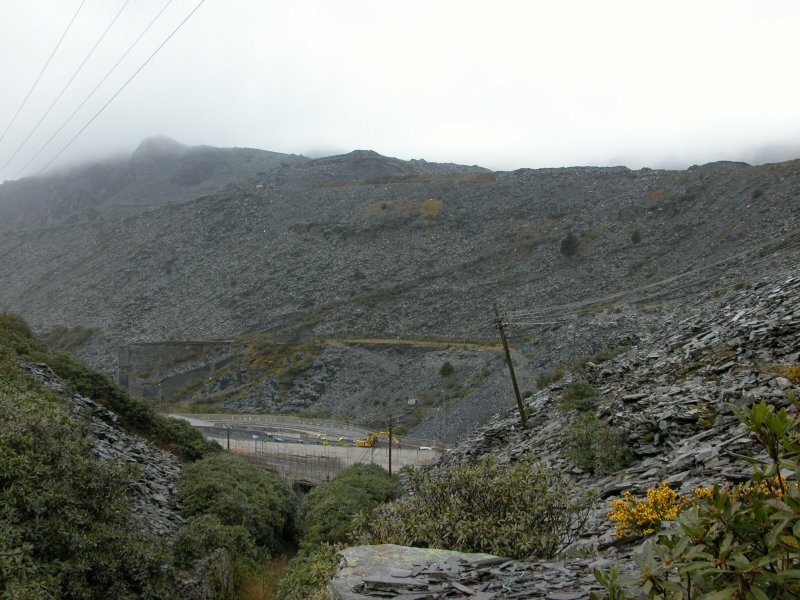 North Wales contains several mines where strong rocks like slate and limestone were mined. 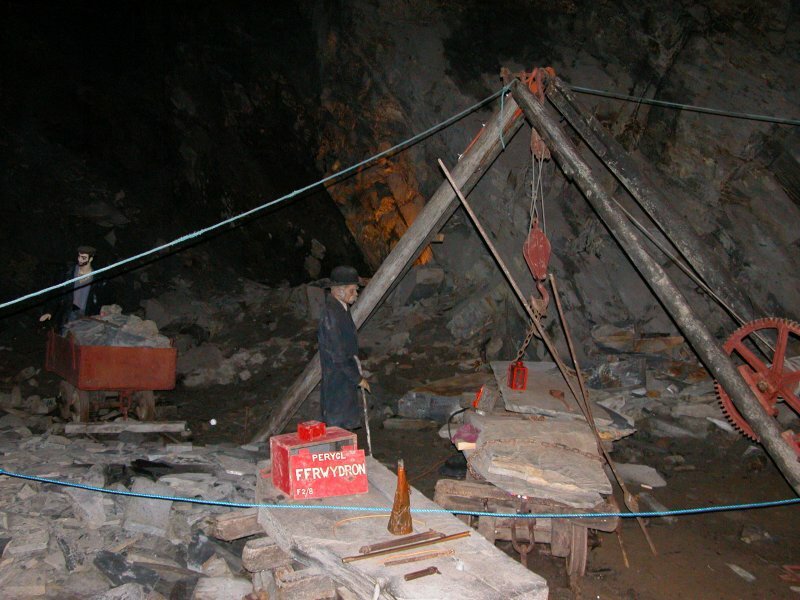 Strong enough that the mines do not rely on supports to hold the roof up, and where the size of the caverns is limited only by what the miners could remove. We are here to see slate mines. In case you are interested, slate is shale (compacted mud) that has been heated by volcanic activity (so it is a metamorphic rock). 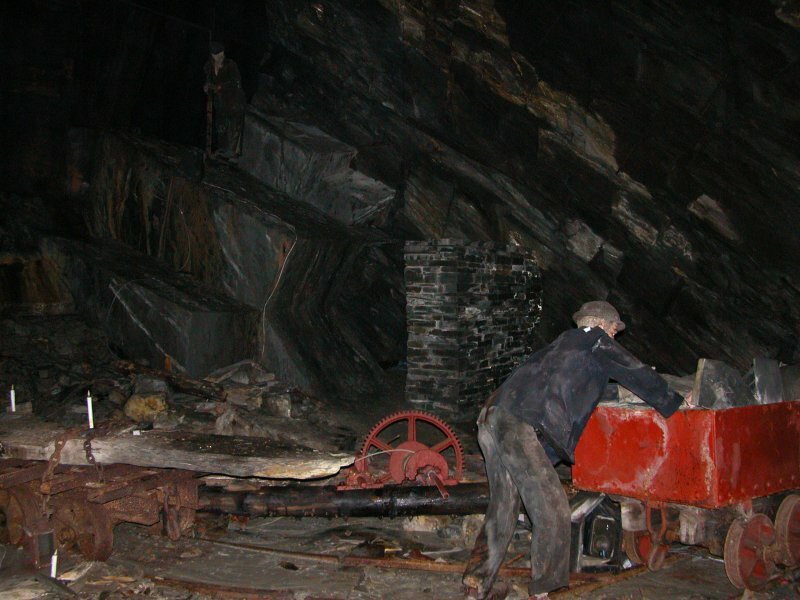 Llechwedd is a major slate mining museum, located in Blaenau Ffestiniog. It can be easily identified by the mounds of waste slate that line the mountains around it. We take the deep tour first. 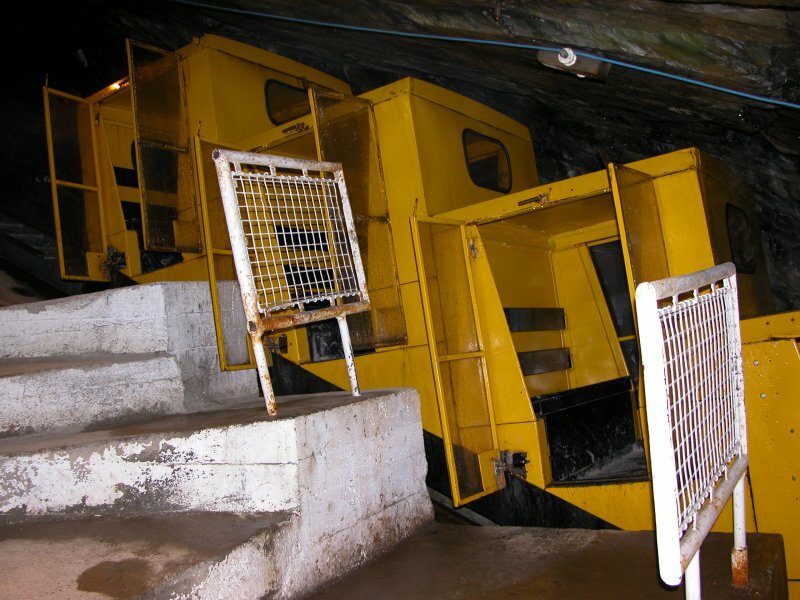 This is mostly self-guided, using an automated sound system, beginning with a cable-powered train to descend into the mine. 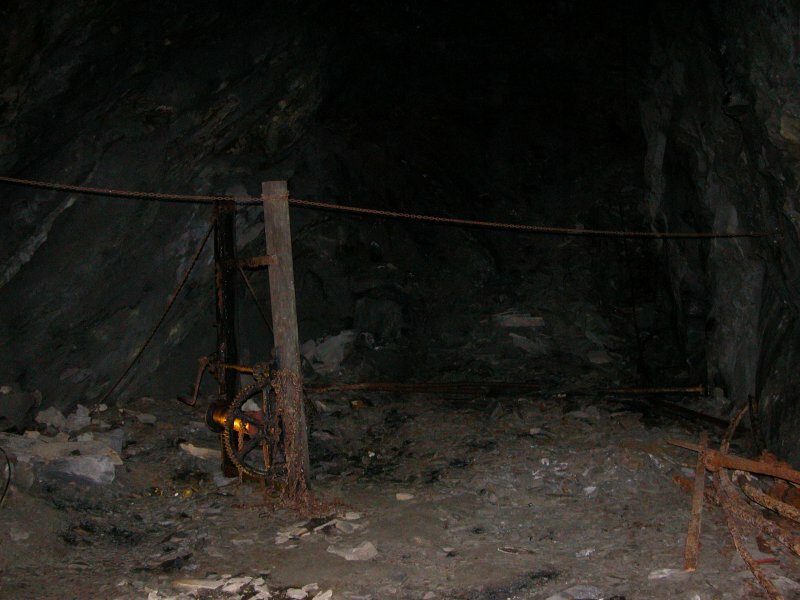 The thing that is immediately noticeable about the mine is the immense size of the chambers where the slate was removed. 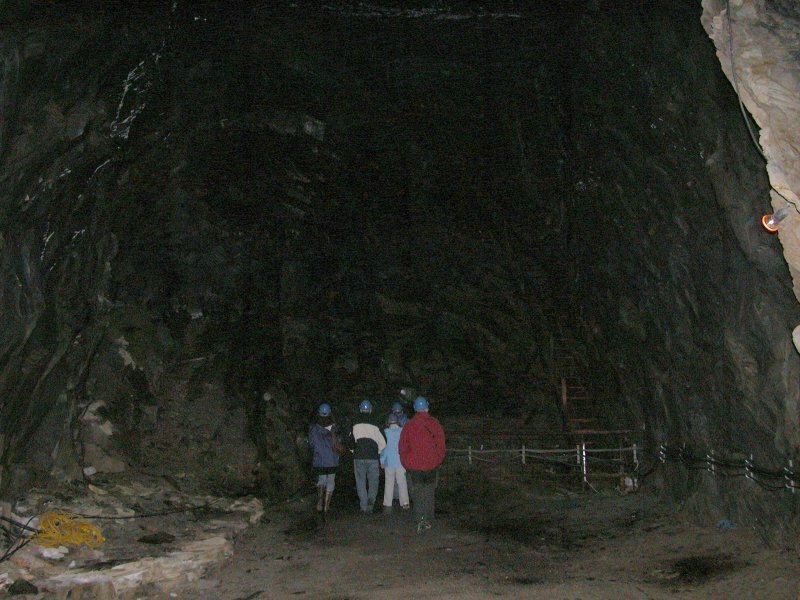 Chamber after chamber, 10, 20 or 30 metres high. Unfortunately, since this was a tourist tour, I did not have any flashguns with me, so lighting was limited to the pathetic flash on the camera. Winch in a smaller chamber. Stairs down one of the taller caverns, showing the angle of the rock. 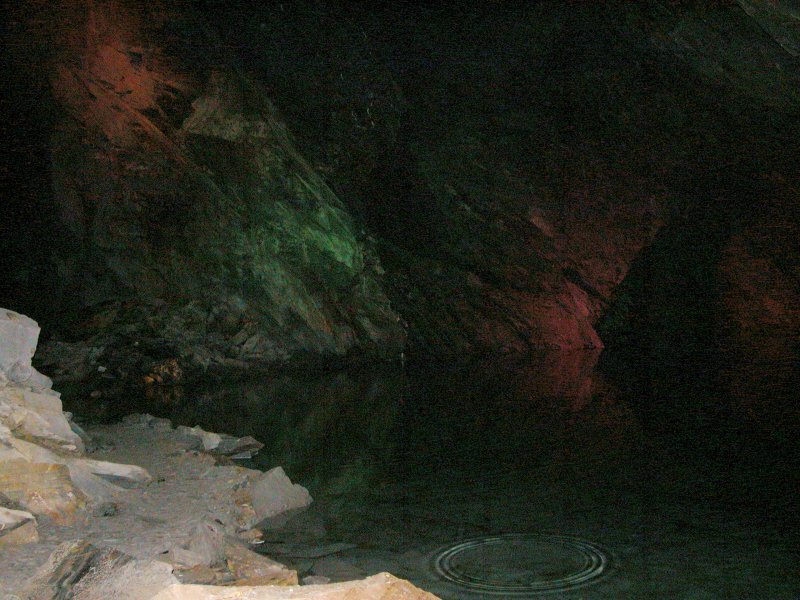 Lake in the deep mines, presumably over flooded levels. 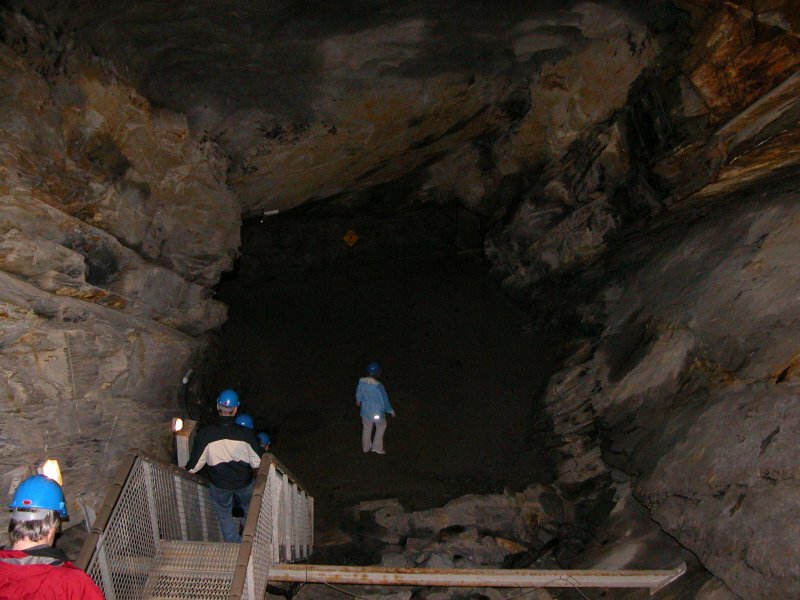 Recreation of works in the upper mine. Four men would work a single chamber through most of their career, drilling holes, inserting explosives, blasting blocks loose, breaking them into smaller pieces, loading them onto trucks, and sending them to be split into slates. 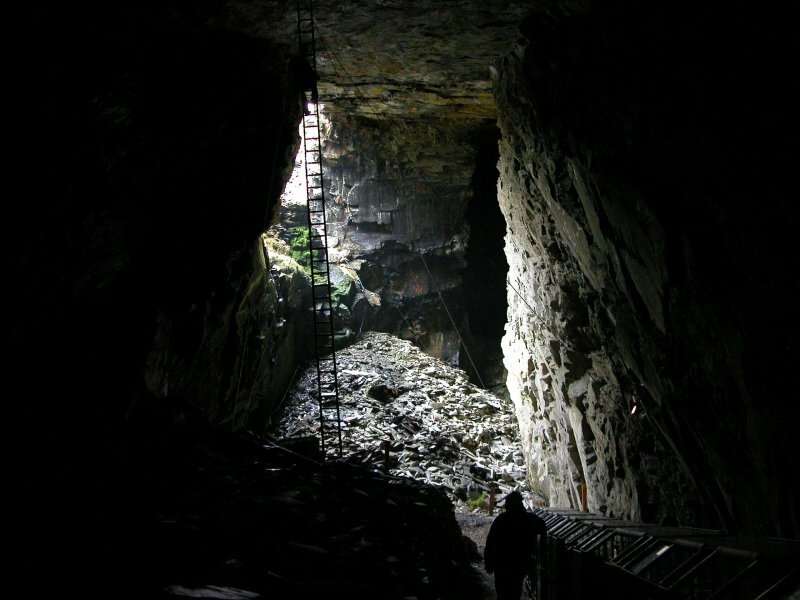 The postcard picture of Llechwedd, a naturally lit immense cavern, with the small mining train used to transport tourists. Splitting the slates the same way as it is done today, with a hammer and chisel. 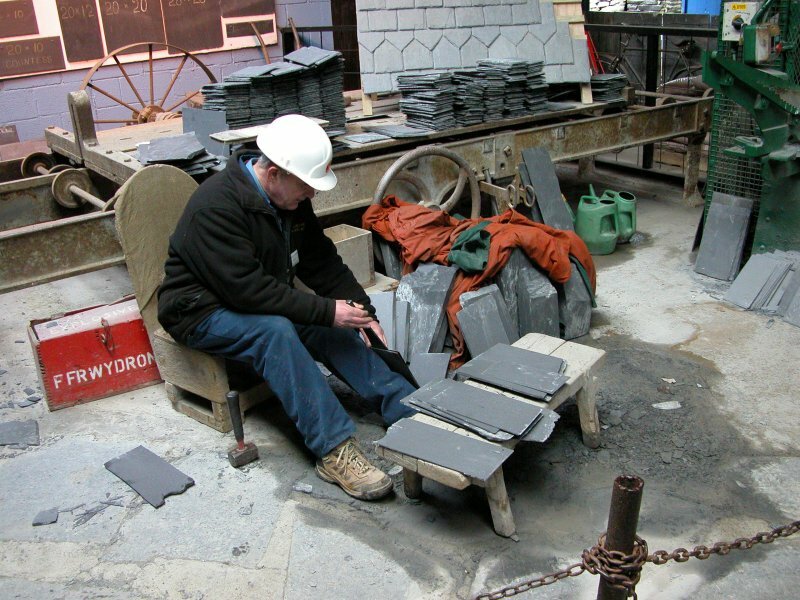 Pay for the miners would depend on how much finished slate could be made from the blocks they mined. 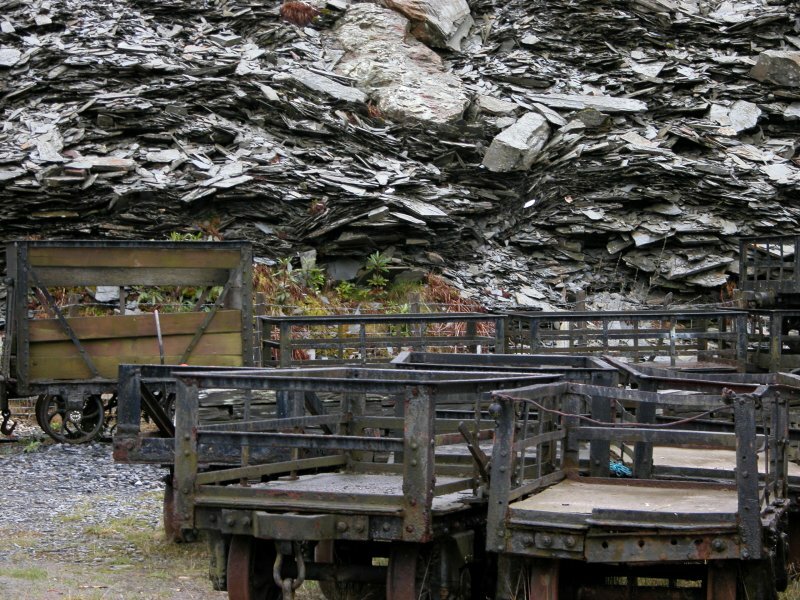 Slate trucks, with the piles of wasted slate, the stone that could not be used. Mountains of the stuff.